Why Invest in Top Ten SIP Funds? How to Invest in SIP MF Online? SIP Mutual Funds (or top 10 SIP Mutual Funds) are funds that adhere to the simple formula of periodic investment to avoid nervous selling during the inevitable ups and downs of the stock market. Typically, SIP or Systematic Investment plan is an Investing mode to invest money in Mutual Funds. Investing in top 10 SIP Mutual Funds brings a systematic and disciplined approach to your investment. 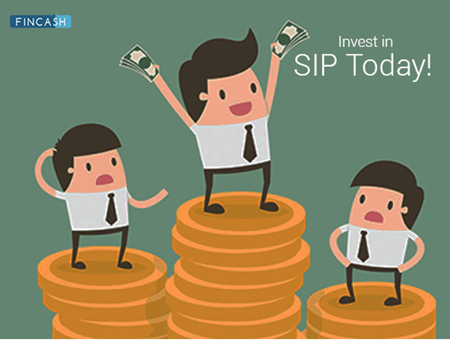 It reduces your effort to manage the SIP investment. Moreover, SIP offers leverage of the Power of Compounding leading to desired returns over time. There are different Types of Mutual Funds for SIP that include equity, debt, balanced and ultra-short term funds. However, Equity Mutual Funds offer maximum returns when invested via a SIP. Financial advisors suggest that the investors must invest in best mutual funds for SIP basis their investment objectives and the period of SIP investment. *List of best mutual funds SIP's having Net Assets/ AUM more than 200 Crore in Equity Category of mutual funds ordered based on 5 year CAGR returns. SBI Small Cap Fund is a Equity - Small Cap fund was launched on 9 Sep 09. It is a fund with Moderately High risk and has given a CAGR/Annualized return of 18.8% since its launch. Ranked 4 in Small Cap category. Return for 2018 was -19.6% , 2017 was 78.7% and 2016 was 1.3% . expected amount after 5 Years is ₹598,181. R. Srinivasan 16 Nov 13 5.21 Yr. The investment objective of the scheme is to generate income and capital appreciation from a portfolio primarily investing in Indian equities and equity related securities of large cap and mid cap companies at the time of investment. From time to time, the fund manager may also seek participation in other Indian equity and equity related securities to achieve optimal Portfolio construction. The Scheme does not guarantee or assure any returns. Mirae Asset Emerging Bluechip Fund is a Equity - Large & Mid Cap fund was launched on 9 Jul 10. It is a fund with Moderately High risk and has given a CAGR/Annualized return of 21.2% since its launch. Return for 2018 was -5.4% , 2017 was 49% and 2016 was 12.2% . expected amount after 5 Years is ₹570,326. Neelesh Surana 9 Jul 10 8.57 Yr.
Ankit Jain 31 Jan 19 0 Yr.
To generate capital appreciation by primarily investing in diversified mid cap stocks. However, there can be no assurance that the investment objective of the scheme will be realized. Canara Robeco Emerging Equities is a Equity - Large & Mid Cap fund was launched on 11 Mar 05. It is a fund with Moderately High risk and has given a CAGR/Annualized return of 17.3% since its launch. Ranked 10 in Large & Mid Cap category. Return for 2018 was -9.3% , 2017 was 52.1% and 2016 was 2.6% . expected amount after 5 Years is ₹556,833. Miyush Gandhi 2 Jul 18 0.66 Yr. 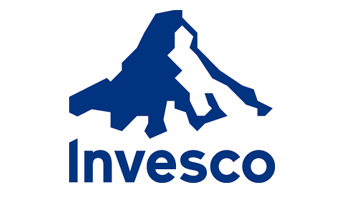 The primary investment objective of the scheme is to generate long term capital appreciation by investing predominantly in equity and equity related instruments of small cap companies and the secondary objective is to generate consistent returns by investing in debt and money market securities. Reliance Small Cap Fund is a Equity - Small Cap fund was launched on 16 Sep 10. It is a fund with Moderately High risk and has given a CAGR/Annualized return of 17.7% since its launch. Ranked 6 in Small Cap category. Return for 2018 was -16.7% , 2017 was 63% and 2016 was 5.6% . Samir Rachh 2 Jan 17 2.08 Yr.
ICICI Prudential Banking and Financial Services Fund is an Open-ended equity scheme that seeks to generate long-term capital appreciation to unitholders from a portfolio that is invested predominantly in equity and equity related securities of companies engaged in banking and financial services. However, there can be no assurance that the investment objective of the Scheme will be realized. ICICI Prudential Banking and Financial Services Fund is a Equity - Sectoral fund was launched on 22 Aug 08. 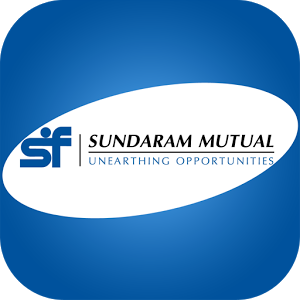 It is a fund with High risk and has given a CAGR/Annualized return of 19.5% since its launch. Return for 2018 was -0.4% , 2017 was 45.1% and 2016 was 21.1% . Roshan Chutkey 29 Jan 18 1.08 Yr.
DSP BlackRock Small Cap Fund is a Equity - Small Cap fund was launched on 14 Jun 07. It is a fund with Moderately High risk and has given a CAGR/Annualized return of 15.7% since its launch. Ranked 7 in Small Cap category. Return for 2018 was -25.5% , 2017 was 42.8% and 2016 was 12.7% . AMC DSP BlackRock Invmt Managers Pvt. Ltd.
Vinit Sambre 21 Jun 10 8.62 Yr.
Jay Kothari 1 Mar 13 5.92 Yr.
Resham Jain 16 Mar 18 0.88 Yr. The investment objective of the scheme is to generate long-term capital appreciation from a portfolio of equity and equity related securities, by investing predominantly in mid and small cap companies. Kotak Emerging Equity Scheme is a Equity - Mid Cap fund was launched on 30 Mar 07. It is a fund with Moderately High risk and has given a CAGR/Annualized return of 12% since its launch. Ranked 12 in Mid Cap category. Return for 2018 was -11.7% , 2017 was 43% and 2016 was 10.4% . Pankaj Tibrewal 21 Jun 10 8.62 Yr. The primary investment objective of the Scheme is to generate long-term capital appreciation to unit holders from a portfolio that is invested predominantly in equity and equity related securities of companies engaged in banking and financial services. The Scheme does not guarantee/indicate any returns. There can be no assurance that the schemes’ objectives will be achieved. Aditya Birla Sun Life Banking And Financial Services Fund is a Equity - Sectoral fund was launched on 14 Dec 13. It is a fund with High risk and has given a CAGR/Annualized return of 22.5% since its launch. Ranked 3 in Sectoral category. Return for 2018 was -2.4% , 2017 was 47.6% and 2016 was 15.7% . Satyabrata Mohanty 14 Dec 13 5.13 Yr.
Dhaval Gala 26 Aug 15 3.44 Yr. The primary objective of the Scheme is to achieve long-term capital appreciation by investing in equity & equity related instruments of mid cap & small cap companies. Principal Emerging Bluechip Fund is a Equity - Large & Mid Cap fund was launched on 12 Nov 08. It is a fund with Moderately High risk and has given a CAGR/Annualized return of 25.3% since its launch. Ranked 1 in Large & Mid Cap category. Return for 2018 was -11% , 2017 was 49.1% and 2016 was 11.2% . Dhimant Shah 1 Jun 11 7.68 Yr. In conclusion, the investors are suggested to invest in the SIP plans of their choice. The above-mentioned Top 10 Mutual Funds are suitable for investors of all kind. So, either you are a high-risk investor or a relatively lower one, the above-mentioned SIP funds are the Best Mutual Funds to Invest. Don’t wait, invest now! To evaluate best performing SIP Funds, let’s know the factors that one must consider before investing. The quantitative factors that one must consider before investing via SIP include performance rating (as per CRISIL, Value Research etc. ), fund age, past returns and fund volatility, expense ratio and exit load. Qualitative key statistics to analyse include the track record of the fund manager, reputation of the fund house and the investment process of the SIP fund. 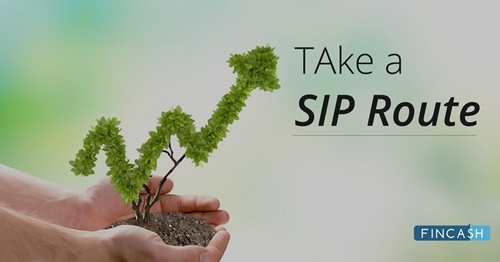 Begin your savings journey with a SIP today! ☆☆☆☆☆ Rated 4.6, based on 84 reviews.